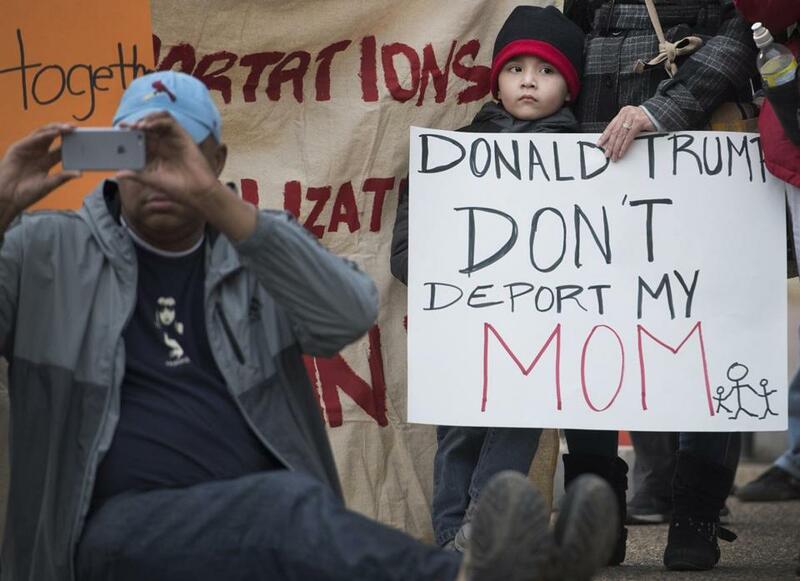 A young boy with his mother attended a rally in front of the White House in February. Immigration advocates on Friday hailed an announcement by President Trump’s administration that keeps in place — for the time being — protections for hundreds of thousands of so-called “Dreamers,” immigrants brought to the country illegally as small children. But they sounded a cautionary note about the fate of unauthorized adult immigrants. The Department of Homeland Security late Thursday night issued a memorandum that keeps alive the Deferred Action for Childhood Arrivals program, known as DACA, which began in 2012. But the administration dashed hopes that unauthorized immigrant adults with US-born children would be allowed to remain. Homeland Security’s Thursday announcement declared that the program “will remain in effect.” But the administration appeared Friday to sow confusion about its intention by saying “the future of the DACA program continues to be under review with the administration,” according to Jonathan Hoffman, an assistant secretary for public affairs at Homeland Security. Thursday’s announcement by Homeland Security Secretary John F. Kelly came on the fifth anniversary of DACA. The program allows unauthorized immigrants who were brought to the United States as children before June 15, 2007, to be granted “deferred action” on their cases for two years if they meet certain requirements. About 787,000 immigrants — nearly 8,000 in Massachusetts — were initially approved for the program, according to federal statistics. Trump referred to unauthorized immigrants from Mexico as “bad hombres” during the campaign, when he promised to stop the flow of unauthorized immigrants. He has made good on that promise, in part, by seeking to deport any unauthorized immigrant, unlike the administration of Barack Obama, which focused on violent offenders. 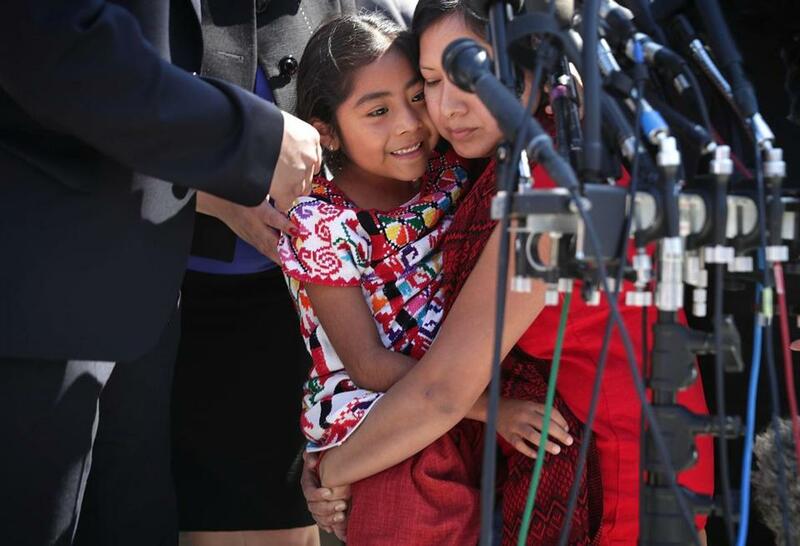 Six-year-old Sophie Cruz of Los Angeles was held by her mother Zoyla Cruz in April 2016 outside the US Supreme Court. Arrests for civil immigration violations are up nearly 40 percent since Trump took office. Texas Attorney General Ken Paxton, who led a 26-state coalition lawsuit against the Obama administration that put the program for unauthorized adults on hold, hailed Trump’s move to shelve the Deferred Action for Parents of Americans program, called DAPA. “I am proud to have led a 26-state coalition that went all the way to the Supreme Court to block this unlawful edict,” Paxton said. On Friday, union members rallied in front of the John F. Kennedy Federal Building in Government Center in support of an MIT janitor who faces deportation. It is a case that illustrates the high stakes of the ongoing debate over immigration in the United States. Francisco Rodriguez, a 43-year-old father of three US-born children, would have been eligible to remain in the United States under Deferred Action for Parents of Americans, the policy never fully implemented because of protracted legal wrangling. Rodriguez has lived in the United States since 2006, saying he was a business owner in El Salvador who was being extorted by local gang members. He said he reported the situation to the police in his homeland, who investigated, but he feared retaliation. An employee had already been felled by gang violence, so he fled. When Rodriguez arrived in the United States, he applied for asylum, which was denied in 2009. His appeal was rejected in 2011, but he has received a stay of removal ever since — until now, according to Cameron. But the future is uncertain for Rodriguez’s family. He went to check in with immigration officials Tuesday and was told to return in December, but hours later, Cameron said, he received a call saying Rodriguez must return July 13 with a plane ticket to El Salvador in hand. During Friday’s rally in support of Rodriguez, at least two passersby shouted angrily at the protesters.